Kensington/Talmadge Kensington is a neighborhood of the Mid-City region of San Diego. The neon "Kensington" sign can be found overhanging Adams Avenue, which acts as the neighborhood's cultural and business center. Many street names in the community have English origins. The residential area has an impressive collection of Spanish Revival style homes, this being the most popular style in San Diego during the late 1920s when much of Kensington was built out. 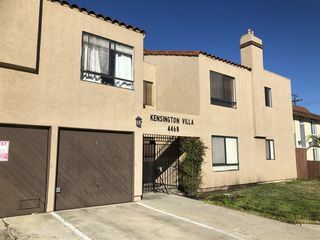 Kensington and Talmadge are sometimes grouped together as one community for official purposes.